Today in the Holy Mother Church we have several saints in which to learn about and perhaps try to emulate in the way they lived their love of the Lord. 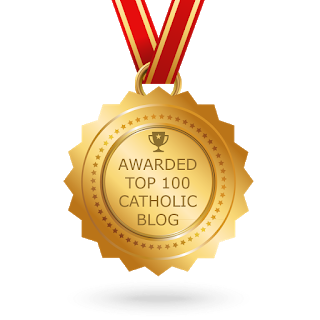 There is the widely known Saint Dominic Savio, who died at the tender age of 15. He studied under St. John Bosco and was a role model for all young men. When he was 12 years old he organized a group of boys into the Company of the Immaculate Conception. Besides his prayer life, he spent time working around the house, taking care of the menial tasks that often went overlooked by the other boys. “Religion must be about us as the air we breathe,” Don Bosco would say, and Dominic Savio wore holiness like the clothes on his back. “I can’t do big things,” St. Dominic Savio once said, “but I want everything to be for the glory of God.” His path to holiness was the way of the ordinary: cheerfulness, charity, fidelity in little things, helping others, playing games with good attitude, obeying his superiors. Saint John Bosco used to tell the boys: “Every one is called to be a saint, and do you know, it is easy to be a saint. Just do this: diligently do the ordinary things of the day in an extra ordinary way.” This heroism in the little things…is the stuff of holiness. As instructors of our children, we need to teach them at a young age, how to do the everything…the little things… for the greater glory of God. Everyone of us has the capacity for giving glory to God…regardless of our place in life…regardless of our power or prestige. In 1857, at the age of fifteen, he caught tuberculosis and was sent home to recover. On the evening of March 9, he asked his father to say the prayers for the dying. His face lit up with an intense joy and he said to his father: “I am seeing most wonderful things!” These were his last words. 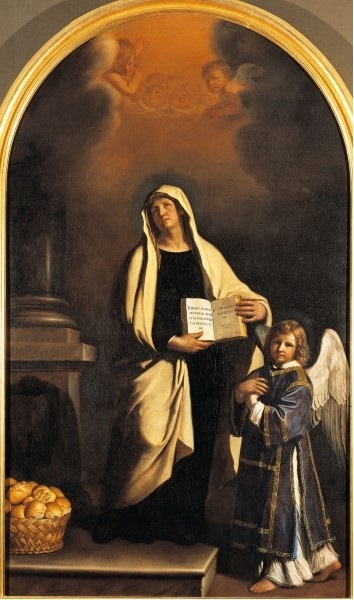 Another Saint whose feast can be celebrated today is the Feast of St. Frances of Rome. As a young girl, Frances sole desire was to become a nun and devote her life to God. But her wealthy family had other ideas, and when she was 12 years old, her marriage was arranged to a wealthy nobleman. Frances was distressed at the idea of not being able to consecrate herself to the Lord. When she complained to her father, he listened, but then asked her, why she would not do the will of God, and do as he told her out of obedience. She realized that he was right, and married Lorenzo de’ Ponziani. And though their marriage was one of arrangement, it was a happy marriage that lasted 40 years. Frances had three children, and fulfilled her duties as a wife and mother with a charitable heart. During this time of being a wife and mother, Frances continues to love the Lord, and serve Him by serving the poor. She also took care of those afflicted by epidemics and once opened her house as a hospital to care or the sick. On the spiritual side, Frances was gifted with visions. She was able to see her guardian angel regularly. It is said that her guardian angel used to guide her down the dark streets to care for the poor, with a lamp only she could see. When the plague hit Rome, and took with it two of her children, Frances sold most of her belongings to care for the sick. Her sister-in-law shared her same zeal for serving the Lord and the two of them worked together serving the needy. When her husband Lorenzo died, Frances focused even more of her attention on serving the needs of the sick and poor.She never shied away from caring for those who were sick, even when the disease could have spread to her, she continued on her mission of serving the Lord. She founded and governed the Congregation of Mount Olivet, and spent the rest of her life with her community. She died at the age of 56 in the year 1440. She was canonized on May 29, 1608 by Pope Paul V.
Saint Frances of Rome is the patron saint of motorists, women, against plague, against the death of children, and of lay women. Bright jewel of the Order of Saint Benedict, illustrious Saint Frances of Rome, thou who wast led by divine Providence through various stations in life, that thou mightiest be a pattern of every virtue, to maidens, to matrons and to widows, pray for us to our divine Savior that we may be detached from the vanities of the world and may be able, under the guiding hand of our Guardian Angel, to grow daily in the love of God, of His Church and of our neighbor, and finally to be made partakers in heaven of the Felicity. Amen. This entry was posted in Catholic Feast Days and tagged care of orphaned children, care of young boys, Company of the Immaculate Conception, Congragation of Mount Olivet, Saint Dominic Savio, Saint Francis of Rome, student of saint John Bosco, visions of guardian angel, widow. Bookmark the permalink.